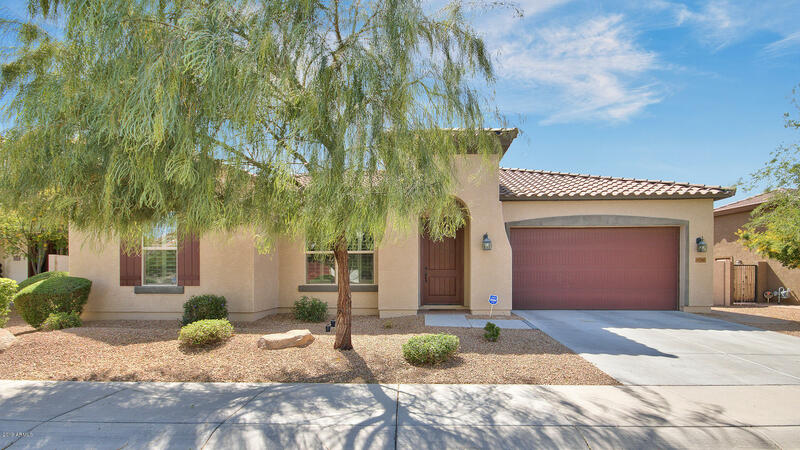 All SEVILLE Parcel 30 homes currently listed for sale in Gilbert as of 04/23/2019 are shown below. You can change the search criteria at any time by pressing the 'Change Search' button below. "Don't miss out on this Beautiful Home with spectacular golf course lot & Mountain views, in the Gated Sienna Community of Seville! This is a rare opportunity to own the best golf course lot in Seville. Enjoy a resort style Salt Water Pool and Spa by Presidential Pools with blue Pebble Sheen. Swim ALL year long with two different heat sources of Natural Gas and an Electric Heat Pump that draws heat out of the air. Salt Chlorination system that comes on automatically daily. A Putting & Chipping gr"
"Make sure to check out the communities private club w/activities such as tennis, basketball, swimming, a game center, with bar and grill. Golf course & mountain views. 3 car garage. Single story, 4 bedroom, 4 bath home is turn key and recently updated. 3 bathrooms have been beautifully remodeled. The attention to detail continues in the kitchen which has been updated w/granite counters, white cabinets, & top end appliances. New fixtures throughout & high-end LED canned lighting. Step outside int"
"Stunning Seville 4 bedroom, 2.5 bath home including a flex room and a game room with its own private patio and fountain. Enjoy your own backyard tropical oasis, an entertainer's delight. Complete with play pool with extra large baja step, tranquil water features, pergola and built in bbq, all while overlooking the 11th hole on Seville's prestigious golf course. Recently installed whole home reverse osmosis and soft water systems. This expansive open floorplan features wood beam ceilings, butler'"